Having sensitive teeth can make any fun activity an unpleasant experience. If you know what I’m talking about, then you have to be wary because it can also be a warning sign of more serious dental problems. Remineralization is something that most of us need regardless whether we whiten our teeth or not. I personally like to use teeth whitening kits because it is the perfect way to get a beautiful white smile. But, if you are not careful enough you can cause permanent damage to your teeth. Allow me to explain how teeth whitening kits can be damaging to your teeth. Some ingredients found in these kits can destroy the protective enamel, making your teeth sensitive. Although you don’t whiten your teeth, there are still many factors that cause enamel demineralization to take place. This can be due to the quality of saliva, poor oral hygiene, using certain medications, or even just from having a diet that’s high in sugar or carbs. I have used various special kinds of toothpaste and oral gels after bleaching and can definitely say that remineralizing gel or remineralizing toothpaste are the best options for teeth strengthening and sensitivity reduction. Today’s post will help you to understand the different types of tooth remineralization products available and what might benefit you and your smile. 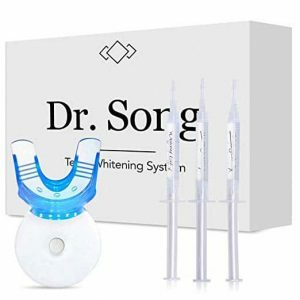 Dr. Song has been creating professional teeth whitening products for over 30 years. The Dr Song remineralization gel comes with 8 syringes which allows you around 50 applications. The gel is developed using Sodium Fluoride and Potassium Nitrate. I purchased this remineralizing gel because I recently reviewed the Dr. Song teeth whitening kit and it worked GREAT. I followed the instructions and applied a small amount of gel to the bottom interior of the teeth tray. I positioned the tray over my teeth and pressed it gently so that the remineralization gel covered the entire surface of my teeth. There was a little bit of overflow which didn’t taste very pleasant so make sure you wipe the gel before it gets into your mouth. You can leave it in your mouth anywhere between 30 mins and 4 hours. I decided to go for an hour because I didn’t have the patience to sit there with the tray in my mouth for any longer than that. I had very little sensitivity afterward which was GREAT. After only two more uses of the remineralizing gel, the sensitivity was totally gone. 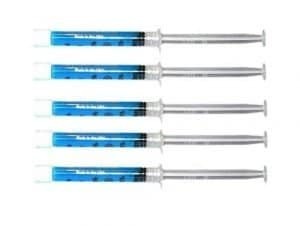 This remineralization gel came with 5 Syringes so not as many as the Dr. Song solution. They didn’t come with any instructions which were a bit annoying so I followed the same routine as I had done with the other remineralizing gels. I decided to use the gel overnight because I wanted to try and get the maximum effect. When I woke up the gel had left a thin but not unpleasant film that bonded to my teeth. The sensitivity caused by the teeth whitening process was no longer there. I was able to drink a cold drink almost straight away. My gums had been a little bit tender and the remineralization gel seemed to fix that issue as well. Natural toothpaste can take a bit of getting used to as they don’t tend to foam up like regular toothpaste, but don’t let that put you off. The Redmon Earthpaste did reduce my sensitivity but didn’t completely get rid of it. This is a nice toothpaste to use though and it doesn’t need to be a temporary thing. I like all the flavors but if I had to pick a favorite I would say it’s the lemon twist, it’s just so different. These remineralizing toothpastes are also great for kids. Uncle Harry’s have been making natural earth-friendly products for the last 20 years. It’s a family run business that works out of a beautiful 9-acre farm in Redmond, Washington. The reason I wanted to try this particular brand was that it is vegan and gluten-free. A friend of mine who is vegan asked me if I knew of any Remineralization teeth products that were vegan-friendly. I didn’t, so I did my research and found this little gem. I followed the instructions that were supplied with it. First, you need to hold ten drops of the liquid into your mouth till your it’s wet with your saliva. Swish it around for about 5 minutes and then spit it out. You don’t need to rinse out your mouth afterward – Remember all the ingredients are Natural! I have been using Uncle Harry’s Remineralization Liquid for a week now and the results have been BRILLIANT. My teeth are a lot less sensitive and my breath is really fresh. The blend of ingredients is AMAZING! And it shows that you do not need a load of chemicals to get results. If you like the Uncle Harry products then why not try the full remineralization kit with tooth whitening toothpaste polish. Watts Power FCP comes as a 4 pack so the value for money isn’t as good as the other remineralizing gels that I have reviewed today. But then further down the instructions, it tells you to rinse your mouth? I would suggest rinsing your mouth after because I don’t think it would be a good idea to swallow too many of the chemicals. The gel tastes very minty but NOT offensive in any way. This time I decided to leave the mouth tray and gel in overnight to see what the effects would be like. They were good but my teeth were still a little bit sensitive when I drank a cold glass of water. The sensitivity reduction did improve after a few weeks though. I found that if you used the remineralizing gel once a week during the teeth whitening process and once a week thereafter this provided me with the best results. I am a fan of the Uncle Harry range as I love completely natural products. There is a spearmint option too but I wanted to try something different and I love the taste of cinnamon. 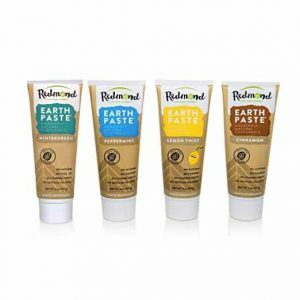 It did seem strange at first using cinnamon toothpaste but I love it and find it so refreshing. The best way I can describe the feeling after using this toothpaste is the way your teeth feel after having a professional clean at the dentist, FRESH. After using for only a week my teeth feel noticeably stronger. My mouth and teeth feel AMAZING. The only issue is that I am now addicted to brushing my teeth because this stuff tastes so good! It might seem extreme to be ordering your toothpaste from Japan but then sometimes you need to go the extra mile to get the best results. Your teeth will certainly thank you for it! I read about a study in Japan where children used Apagard Premio over a period of a year and they found that cavities in this group dropped significantly. After this, I had to try it out for myself. The only downside to it traveling halfway across the world is that it can take a while to receive it. The tube is fairly small BUT you really only need to use a small amount, around the size of a pea so it does actually last a long time. This completely cured my sever tooth sensitivity and had a surprisingly extra bonus of making my teeth much whiter! I love this remineralizing toothpaste! Remineralizing gel rejuvenates and desensitizes your enamel by replenishing the key minerals within your teeth. 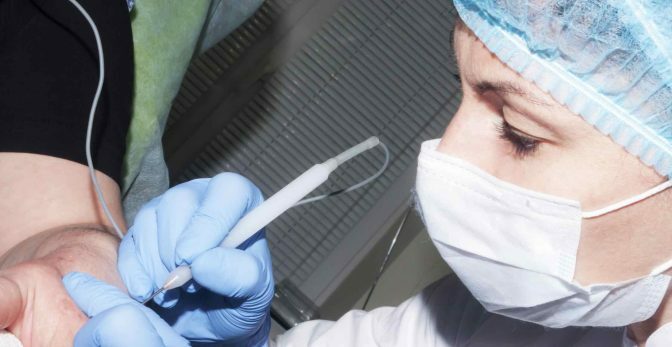 This process repairs early cavities and also prompts cells within your teeth to start multiplying, forming a stronger new tooth tissue that replaces the one eroded by teeth whitening. There are many factors that can cause the enamel on your teeth to erode leaving small holes which lead directly to the nerves within your teeth. Remineralizing gels and toothpaste help strengthen your teeth by making them healthier, stronger and less sensitive. If you are in need of remineralizing after bleaching your teeth then I would say you are best off using a remineralization gel. You will need to follow the instructions according to the one you buy but generally they work by filling a mold with the gel and holding on your teeth for a number of minutes. Keep reading to find the best one for you. 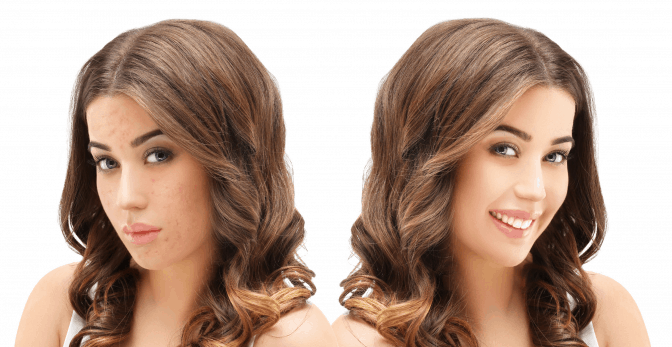 You can even combine this with using a remineralization toothpaste for maximum results. If you haven’t been bleaching your teeth but suffer from some sensitivity then I recommend using one of the remineralization toothpaste. Simply switch from your regular brand of toothpaste and you will soon feel the benefits. So now you know what the best remineralizing gels for teeth and remineralizing toothpastes are. Eroding teeth enamel is NO JOKE. It causes permanent and long term damage as well as a considerable amount of pain. It’s important that you choose one and get started straight away. You need to keep your teeth strong and healthy… so for $10 – $20, it’s an absolute no brainer. Don’t sacrifice your happiness and comfort. Take care of your teeth and your oral health. Keep smiling! It’s going to be ending of mine day, but before finish I am reading this fantastic article to improve my experience. You just saved me some time.